timber, not used now, can be removed. crossings, reintroduction of missing species. Thousands of jobs. for the future of climate chaos. species) to Eastern Cougar reintroduction. contributor to the demise of passenger pigeon when their food source was removed. Wolves, pumas, eels, and chestnuts. Read more about John’s work in his series on the Split Rock Wildway. I’m an Ecology undergraduate student at the University of North Texas. Over the years, I’ve become increasingly interested in becoming involved with a rewilding project after graduation. This podcast has been very helpful so far in listening to some of the efforts taking place across North America. I was wondering; however, if you would be able to suggest any projects that are looking for an extra pair of hands after this coming May. Additionally, if there are any practitioners that you are aware of that are in the habit of taking optimistic masters students, I would love being pointed in their general direction. Thank you for your time and the work you have done and are doing. 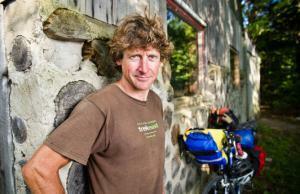 Call Northeast Wilderness Trust in Montpelier, VT. John Davis is on their board of directors. They are awesome!